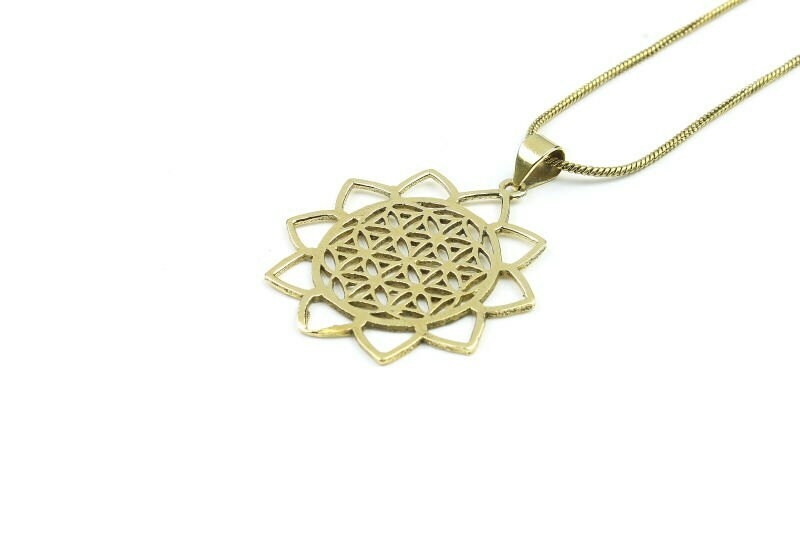 Brass flower of life necklace with a circling lotus aura. 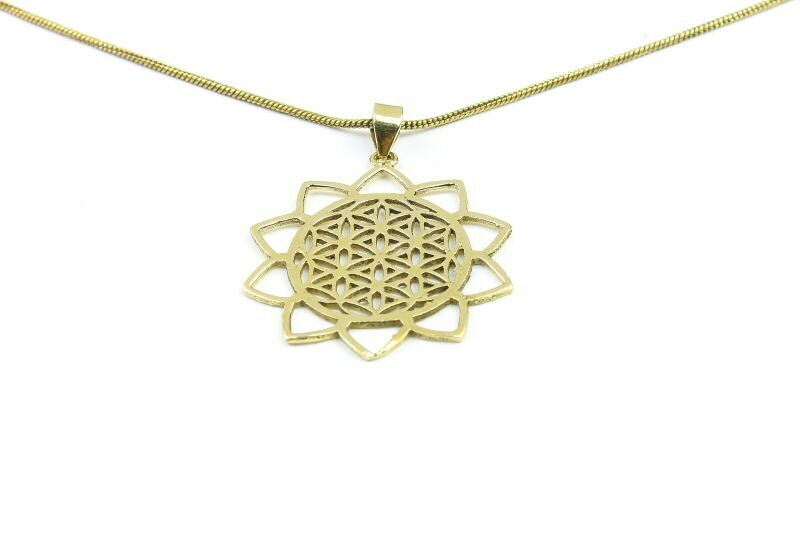 The Flower of Life is a wonderful reminder that we are all connected to each other and to every single thing in the Universe. Pendant is displayed on sparkling 24 inch chain. Pendant Measurements: Length: 1 3/4"; Width: 1 1/4"